The Union Cabinet on Wednesday cleared a proposal of the Election Commission to procure paper trail machines for use during future elections. The cabinet sanctioned Rs 3,171 crores for procuring over 16 lakh VVPAT units, which will be ready for use before September 2018. The decision comes in the wake of growing demands from opposition parties for holding all future elections using paper trail machines along with EVMs, to clear doubts about votes cast. The clearance was given by the Cabinet chaired by Prime Minister Narendra Modi after a brief discussion. Voter Verifiable Paper Audit Trail (VVPAT) is one of the systems which the Congress and other opposition parties urged the EC to look at. VVPAT has been used in India too, but only on a pilot basis. One of the benefits of VVPAT is that the authorities can keep a printed record of the votes polled. When a vote is cast, a receipt is generated which shows the serial number, name and symbol of the candidate. When a vote is cast, a receipt is generated which shows the serial number, name and symbol of the candidate. This can help the authorities to count the votes manually if there is a dispute in the electronically polled votes. 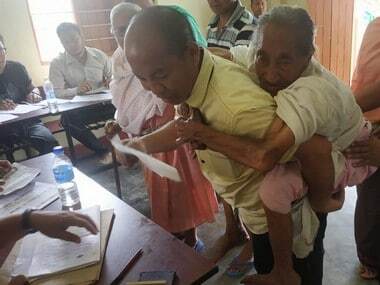 However, the printout is not accessible to the voter. According to the EC, the VVPAT system was not manufactured due to doubts on the EVM, but was part of the upgradations of the system. 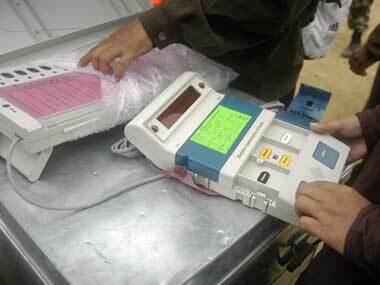 The demand for VVPATs linked to EVMs began in 2010, when an all-party meeting, urged the EC to explore the prospect. 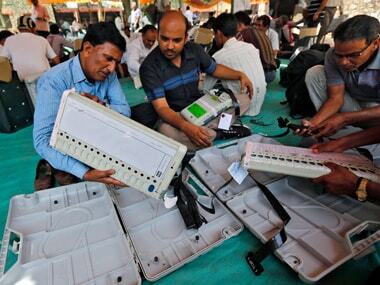 After three years of consultations on the deployment of VVPATs, the EC, on the direction of a 2013 Supreme Court ruling, introduced domestically built paper trail machines for 10 of the 40 Assembly seats in Meghalaya elections. d) placement of order by the Election Commission to the two manufacturers depending upon their production capacity so that all the VVPAT units can be procured by September 2018. 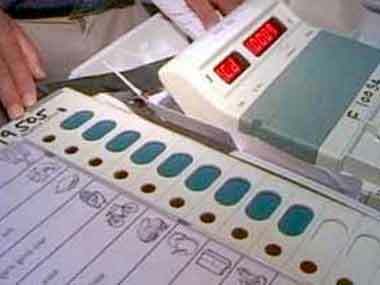 The decision of the government would enable the EC to deploy VVPAT units in all polling booths in the General Election to the Lok Sabha in 2019, which will act as an additional layer of transparency for the satisfaction of voters, allaying any apprehension in the minds of the voters as to the fidelity and integrity of the EVMs. This would also result in compliance with the directions of the Supreme Court vide its order dated 8 October 2013.